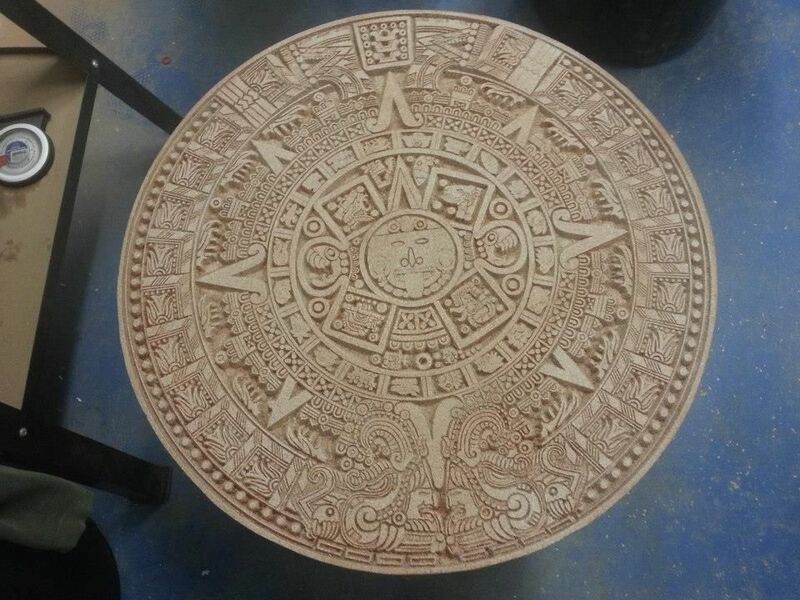 This reproduction of the famous Aztec calendar (sometimes misidentified as a Mayan calendar) was carved into MDF, backed with plywood to keep if from warping while it was being carved, then finished with faux-stone paint and glazed to give it an aged look. It is about 2 feet in diameter. We made this as a prop for an "end-of-the-world" party. The owner liked it so much that it's now on permanent display in their apartment.